This case was heard by the Supreme Court on 17 January 2011. The case related to the dismissals of Mr Duncombe and Mr Fletcher, both of whom were teachers employed by the Department of Children, Schools and Families. Both teachers worked on secondment at schools for the children of European Union employees situated throughout Europe. Mr Fletcher was based in a school in the UK, while Mr Duncombe was based in mainland Europe. Pursuant to Article 29 of the 1996 Regulations of Members of the Seconded Staff of the European Schools 1996 as laid down by an international board of governors, under the Convention defining the Statute of the European School (1994), the secondments continue for a maximum of nine years. Mr Duncombe and Mr Fletcher were on fixed term contracts and were both dismissed after nine years. They both claimed that their dismissals were unlawful on the basis that they should be considered permanent employees due to the effect of the EC Fixed-Term Workers Directive (transposed into UK law by the Fixed-Term Employees (Prevention of Less Favourable Treatment) Regulations 2002): under the 2002 Regulations employees have a right to treat their contract as a permanent contract if it is successively renewed for more than 4 years. Between them, Mr Duncombe and Mr Fletcher sought compensation for unfair dismissal, wrongful dismissal, breach of contract and a declaration that they should be considered permanent employees under the 2002 Regulations. The Employment Tribunal found that Fletcher was a permanent employee of the Secretary of State due to the effect of the 2002 Regulations. The Secretary of State appealed this decision on the basis that the application of the nine-year rule embodied in the 1996 Regulations provided an objective justification for the continued use of fixed-term contracts. The Employment Appeal Tribunal rejected the Secretary of State’s appeal on the basis that the obligations on the employer under the 2002 Regulations took precedence over the 1996 Regulations, which were made pursuant to (but not contained in) the 1994 Convention. Mr Duncombe, seconded abroad to European schools, claimed compensation for wrongful and unfair dismissal and breach of contract against the Secretary of State after his fixed-term contract had expired. The Employment Tribunal held that the 2002 Regulations did not apply to extraterritorial contracts, a decision reversed by the Employment Appeal Tribunal on the application of Bleuse v MBT Transport (decided after the ET decision and the EAT preliminary hearing) to extend the territorial scope of the 2002 Regulations. The Court of Appeal, applying Bleuse, found that the Tribunal had erred in its finding that a teacher working in Europe could not bring an unfair dismissal claim by reason of working outside the United Kingdom as this would deny those employees a remedy for the breach of a directly effective EC right. In Bleuse the EAT held that the Lawson v Serco tests for jurisdiction should be modified to ensure that such directly effective rights can be enforced by the English courts. 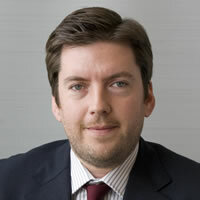 While Mr Duncombe, due to his secondment abroad, did not fall within the scope of the jurisdictional tests set out in Serco, he could rely on the Bleuse decision to entitle him to an effective remedy against the breach of a directly effective EC right as implemented in the 2002 Regulations. Mummery LJ, with Maurice Kay and Jacob LJJ in agreement, held that the effect of the 2002 Regulations resulted in both teachers becoming permanent employees. The mere existence of nine-year limit did not in itself discharge the Secretary of State’s requirement to provide objective justification for the limit, and therefore dismissal of the employees upon the completion of nine years of fixed-term contracts was unlawful. 3. whether the Fixed Term Directive has direct effect in domestic law. It will be interesting to see whether the Supreme Court follows the EAT and Court of Appeal’s view and approves the Bleuse decision. If so, it may have the effect of increasing the pool of potential claimants falling within the Employment Tribunal’s jurisdiction. James Bradley is a trainee at Olswang LLP, currently on secondment from Warner Music. Is the principle presently established in ‘Bleuse’ confined to workers in Europe or is it likely to be a right in persona? Leave a reply on "Case Preview: Duncombe & Ors v Secretary of State for Children, Schools and Families"